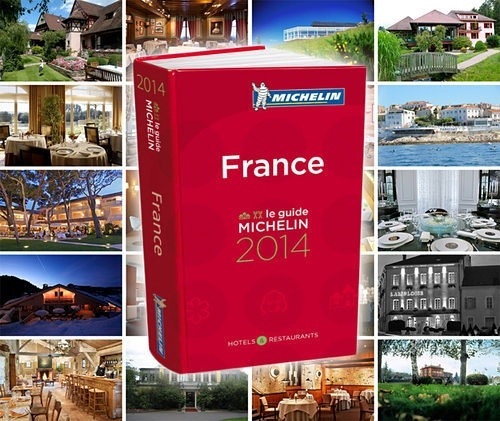 Eater.com released the list of the latest Michelin 3 star restaurants in France. I love to dream of being able to visit and eat at one of these great eateries one day. Enjoy the list and dare to dream. Let me know if you are one of the lucky ones to eat at one of these restaurants and let me know what you think! Do you think it’s a Michelin star restaurant? On Monday morning, the Michelin guide unveiled its 2014 list of stars for France, which includes 27 three-star gastronomic temples. But where can these be found? As has been done in past years, today Eater takes a look at the Michelin three-star restaurants of France, from Paris to Marseille and everything in between. AUBERGE DE L’ILL Set in the Alsatian village of Illhaeusern, Auberge de L’Ill is one of the longest-running Michelin-starred restaurants passed down through the decades in the Haeberlin family. The first star came back in 1952, with the third finally bestowed upon the restaurant in 1967. It’s now under the watch of chef Marc Haeberlin. AUBERGE DU VIEUX PUITS Chef Gilles Goujon landed at the picturesque L’Auberge du Vieux Puits in 1992 and began his climb up the ladder of Michelin stars. In 2010, he finally made it to the coveted three-star level for his cuisine that Michelin inspectors describe as an expert balance of season, terroir, and innovation. BRAS The inspiration of many a culinary journey, Restaurant Bras is where the legendary Michel Bras began exerting his influence on generations of chefs to come. Now, his son Sébastien Bras runs this kitchen in the countryside that is Laguiole. EPICURE The airy dining room at Epicure is a stunning setting for enjoying chef Eric Frechon’s three-Michelin-starred cuisine. Having already worked at Hotel Le Bristol as a teen at the beginning of his career, Frechon returned as head chef in 1999. He quickly added its second Michelin star in 2001 and, finally, nabbed the third in 2009. FLOCONS DE SELHigh up in the French Alps, Flocons de Sel is where chef Emmanuel Renaut first earned his third Michelin star two years ago. Renaut has created a true dining destination in the ski town of Megève by pairing this fine dining restaurant with a hotel, bistro, and cookery program. GEORGES BLANC In 1968, Georges Blanc took over the Vonnas inn that had been in his family for generations and converted it into a five-star hotel that won its third Michelin star in 1981. Blanc has since written about a dozen cookbooks and opened restaurants elsewhere in Vonnas and beyond. GUY SAVOY Guy Savoy’s flagship restaurant in Paris won its third star in 2002, about five years after he moved it to this more spacious location on rue Troyon. This acclaimed French chef — who trained with the Troisgros brothers — has made iconic dishes such as his artichoke and black truffle soup. L’ARNSBOURG Chef Jean-Georges Klein has held three Michelin stars since 2002 at this restaurant remotely located in the Vosges Mountains of Lorraine. L’Arnsbourg offers three set menus, starting at 95 euros ($131) up to 169 euros ($232) per person. He and his wife Nicole also operate a hotel on the premises for those who make the special trip out for a three-star meal. L’ARPÈGE Chef Alain Passard gained his first two Michelin stars quickly after opening Arpège in 1986, finally getting that coveted third star 10 years later. Passard himself is one of the many heavyweights in French gastronomy, and is widely recognized for a focus on vegetables that has inspired chefs around the world. L’ASSIETTE CHAMPENOISE L’Assiette Champenoise entered the elite club of three-starred restaurants this year, which was fortunate considering a French news magazine had already leaked news of its promotion. Chef Arnaud Lallement leads this restaurant, which got its start nearly 40 years ago under his father Jean-Pierre. L’ASTRANCE Chef Pascal Barbot and manager Christophe Rohat worked together at Alain Passard’s Arpège before opening Astrance in 2000. They gained their third Michelin star in 2007 for a cuisine which food writer Elizabeth Auerbach describes as “state of the art, modern French gastronomy with Asian flair.” Only open four days a week, this is one of Paris’ truly tough tables. LA CÔTE SAINT-JACQUES Located 90 minutes from Paris, La Côte Saint-Jacques is a three-star experience that has its origins in a bed-and-breakfast founded more than 60 years ago by chef Jean-Michel Lorain’s grandmother. Jean-Michel Lorain joined his father in the kitchen in 1983, helping the restaurant rise to its third Michelin star three years later. He has been running the kitchen solo since 2001. LA MAISON TROISGROS Maison Troisgros is the stuff of French culinary legend, dating back to 1930 when Jean-Baptiste Troisgros purchased this property across from the Roanne railroad station. Sons Jean and Pierre earned the restaurant’s first Michelin star in 1955, bumped up to three in 1968 as the brothers helped guide the evolution of France’s Nouvelle Cuisine. Pierre’s son Michel has been running the kitchen since 1998, and throughout it all, Maision Troisgros has held onto those three stars for more than 45 years. LA VAGUE D’OR La Vague d’Or joined Michelin’s list of three-starred restaurants just back in 2013, news which was leaked in advance as news of French Michelin stars seems wont to do these days. Chef Arnaud Donckele helms this Saint-Tropez gastronomic destination that celebrates the sea upon which it resides. LE LOUIS XV – ALAIN DUCASSE More than 25 years ago, Alain Ducasse made a splash in the world of gastronomy with his celebrated Le Louis XV in Monte Carlo, which become the first hotel restaurant to win three Michelin stars back in 1990. Ducasse has continued on to collect Michelin stars around the world, but Le Louis XV remains an icon of French cooking. LE MEURICE Chef Yannick Alléno might be gone from Alain Ducasse’s Paris restaurant Le Meurice, but its three Michelin stars still shine brightly. Ducasse himself and new head chef Christophe Saintagne rebooted the menu this past Fall with a stripped-down focus on vegetables. LE PETIT NICE Michelin explains that the cuisine at chef Gérald Passédat’s Le Petit Nice in Marseille “is steeped in Provence.” Seafood and flavors of the Mediterranean — which the restaurant overlooks — predominate this three-star menu. LE PRÉ CATELAN Chef Frédéric Anton began his career studying under the likes of Gérard Boyer and Joel Robuchon, becoming the chef at Le Pré Catelan in 1997. Ten years later, Michelin awarded the restaurant three stars under Anton’s watch. This restaurant also has the advantage of an iconic — and beautiful — location within Paris’ Napoleon-era park Bois de Boulogne. LE RELAIS BERNARD LOISEAU Though the culinary world still mourns the passing of Bernard Loiseau — and rehashes the Michelin-related rumors associated with his suicide — his Saulieu restaurant continues to hold the three stars he won for it back in 1991. His wife, Dominique, still runs Le Relais Bernard Loiseau with chef Patrick Bertron leading the kitchen that he has worked in for more than 30 years. MAISON LAMELOISE The history of Maison Lameloise stretches back to 1921, when three generations of the Lameloise ran this restaurant in the Burgundy region. It first received a third Michelin star in 1979, with a brief dip down between 2005 and 2007 before regaining the honor under the young chef Eric Pras, who continues to helm the kitchen. PAUL BOCUSE It’s hard to overestimate the importance of French culinary legend Paul Bocuse and his three-starred Lyon restaurant. His eponymous restaurant has held three Michelin stars for nearly 50 years, and visitors can still order some of his iconic dishes such as the truffle soup Bocuse once served at a presidential dinner in 1975. PIERRE GAGNAIRE Pierre Gagnaire’s eponymous restaurant in Paris gained its third star in 1998, just two years after opening on rue Balzac. This French chef has gone on to open restaurants across the world, and is already a living legend for his contributions to bridging the gap between classical French cuisine and modern-day gastronomy. RÉGIS ET JACQUES MARCON Régis et Jacques Marcon is another of France’s three-Michelin-starred family endeavors. Here, the Bocuse d’Or-winning father Régis and his son Jacques are known for reflecting the environment and the turn of the seasons on their constantly changing menu. Posted on February 27, 2014, in Wanderlust - travel, you ask for it and ill find it out and tagged Frances 2014 Michelin Star restaurants, great restaurants in France, recently Michelin Star awarded french restaurants. Bookmark the permalink. 2 Comments. That’d make a great road trip, wouldn’t it?